EYES/NIGHTS ONLY is a residence concept by DIFT based on an exhibition set-up, which will only be open during Biennale Interieur in Kortrijk. The concept involves temporary residences, in which designers and brands create an artistic installation reflecting their take on a hotel room. 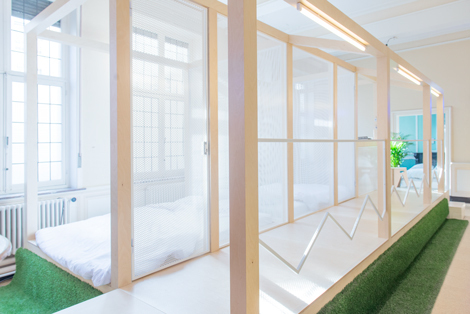 During the day, the rooms will be accessible to visitors, and at night they become the rationale of the project: creating affordable rooms for young designers and visitors of the Biennale Interieur 2014.